Numerous studies have found that Roundup, the herbicide produced by Monsanto, is probably carcinogenic and more toxic than assumed. Consequently, Italy has banned its use. The Ministry of Health from Italy has put a ban on the spraying of the main ingredient of this herbicide, glyphosate, in numerous public places that affect ‘vulnerable groups,’ such as gardens, playgrounds, courtyards, roadways, green areas around school buildings, sports fields, recreational areas, playgrounds, and additional green spaces. Furthermore, the use of this ingredient has also been banned in the pre-harvest desiccation, the process of spraying crops before harvesting, as well as the non-agricultural use of glyphosate on soils composed of 80 percent or more of sand. The goal of these measures was to protect groundwater from additional agrichemical contamination. This means that Italy has adopted one of the biggest bans on the agricultural and public use of glyphosate. This ban may seriously endanger the future of the company in Europe, as Monsanto relies on sales of RoundUp to prop up their seed monopoly. Glyphosate has also been banned in Holland, Brazil, and France, and RoundUp has already been removed from the shelves of numerous gardening and DIY centers there. 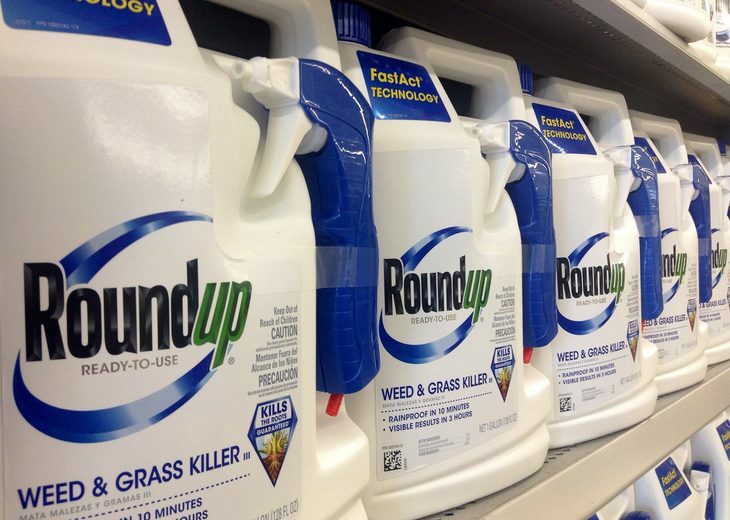 Apparently, even though EU has prolonged the Monsanto’s license for RoundUp for a year and a half, several hours from implementing a total recall, the political deadlock and questioned science cannot stop the growing contempt from it, and the Great Glyphosate Rebellion goes on. After the members of the European Parliament questioned its effects, even a co-formulant, POE-tallow amine, which is found in RoundUp, is under heavy scrutiny. Professor Gilles-Eric Séralini performed a controversial study recently which found that has pointed out that RoundUp is even more toxic than previously assumed. “… all the glyphosate-based herbicides tested are more toxic than glyphosate alone, and [this study] explains why. Thus their regulatory assessments and the maximum residue levels authorized in the environment, food, and feed, are erroneous. A drink (such as tap water contaminated by Roundup residues) or a food made with a Roundup-tolerant GMO (like a transgenic soy or corn) were already demonstrated as toxic in the recent rat feeding study (2) from Prof.
Séralini team. … These assessments are therefore neither neutral nor independent. They should as a first step make public on the Internet all the data that underpin the commercial release and positive opinions on the use of Roundup and similar products. “The regulatory authorization process for pesticides released into the environment and sold in stores must urgently be revised. Italy has made its decision about the use of glyphosate and the popular Monsanto product, but what will be the decision of the rest of Europe? This article (Italy Just Banned Monsanto’s Top-Selling Herbicide From All Public Places) is free and open source. You have permission to republish this article under a Creative Commons license with attribution to Christina Sarich and UndergroundReporter.org. If you spot a typo, please email the error and the name of the article to undergroundreporter2016@gmail.com.